Q. What changes might passengers see in the near future? A. I want to humanize the airport. We’re working on free Wi-Fi and baggage carts. And we want to make the airport experience more fun. It’s a little too quiet. Maybe we will bring in school choirs to sing carols during the Christmas season. Q. What can be done to ease passenger frustration with the screening process? A. The government is finding better ways to assess risk. And the technology is improving. This will sort itself out to be a friendlier experience for the travelers. Security is governed by federal regulations so I don't know that we can ever "humanize" an airport. 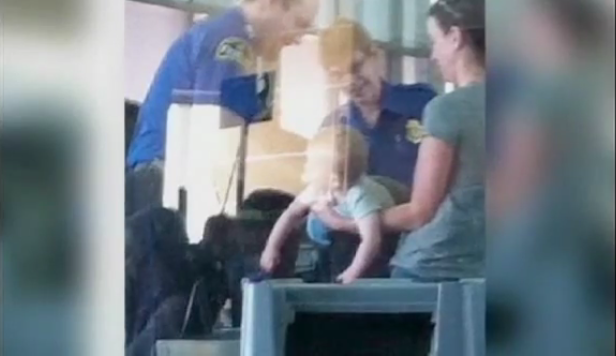 When a TSA explosives trace detection machine alerts on a baby stroller and results in an eight-month-old being patted down we've proven to ourselves and the world that we have strayed way off course. The way we treat everybody as suspect you'd think we were suffering attacks as frequently as they did in Brazil (the movie). We are more concerned with threats we can imagine instead of those likely to happen. Consequently, airports are hardly the friendliest places to be, I don't care how friendly the agent tries to be during the pat down. As Mr Krauter mentions, the government is coming up with ways to assess risk. As to whether they are better or not remains to be seen. TSA is testing a system called Future Attribute Screening Technology (FAST) (PDF file) designed to detect an intention to cause harm. As for where precisely FAST is being tested, that for now remains a closely guarded secret. The DHS says that although the first round was completed at the end of March, more testing is in the works, and the agency is concerned that letting people know where the tests are taking place could affect the outcome. "I can tell you that it is not an airport, but it is a large venue that is a suitable substitute for an operational setting," says [DHS spokesman John] Verrico. Hmmm, a suitable substitute for an operational setting. That could be...um...anywhere, huh? It will be so worth it to get free Wi-Fi and baggage carts. Oh get in the spirit of it. What could be finer than a choir singing "Oh Happy Day" while a rent-a-copy illegaly gropes your balls? Btw, check out the story in the NYTimes about the hundreds of thousands of tax dollars spent staking out a non-violent anarchist in Texas. The geniuses at the FBI came up with astute observations like "hippies have an odor" and that the couple under surveillance (married 25 years) aren't suitable for each other. It isn' just the TSA. Death by a thousand cuts. Please take the above with a small grain of salt. Will the airport allow choirs that sing songs in praise of the Fourth Amendment, and against TSA abuses? Or does the airport also oppose the First Amendment? Can passengers now sing "We Shall Overcome" while the government systematically violates our civil rights and liberties? Btw, check out what the (disguised) TSA supervisors say in the latest "They molested my mom" video on youtube. Not only do they lie to the guy about the legality of filming, but the supervisor in the hazard vest (clever disguise) says he hasn't given permission for himself to be filmed. He's saying that at an airport gate with a zillion security cameras and to passengers who were just forced to be filmed naked! Also, don't miss the cute puppy contest on the TSA website. Aw shucks.